In this study, the effect of a dietary supplementation of Apium graveolens on growth performance, digestive enzyme activities and immune response of juvenile common carp (Cyprinus carpio) were evaluated. C. carpio, with an average weight at the beginning of the experiment of 6.5 ± 0.07 g, were supplemented with a celery (Apium graveolens) aqueous methanolic extract at a dose of 0% (control), 0.1%, 0.5% or 1% over 45 days. Every 15 days, respiratory burst, lysozyme and myeloperoxidase activity were measured, and at the end of the study, haematological responses, growth performance and digestive enzyme activity were investigated. Respiratory burst and myeloperoxidase activity was significantly improved in all treated groups compared with the control group (P ˂ 0.05). Lysozyme activity was highest in the 0.1% and 1% extract groups. At the end of the study, the final weight (FW), weight gain (WG) and specific growth rate (SGR) were significantly increased in the 0.1% group compared with the other groups. The feed concentration ratio was decreased in the 0.1% and 1% groups compared with the control (P < 0.05). Haematological parameters were affected by A. graveolens extract intake (P ˂ 0.05). The total white and red blood counts, haemoglobin content and haematocrit value were highest in the 0.1% extract group (P ˂ 0.05). However, the mean cell volume and mean cell haemoglobin concentration were decreased in the 0.5% group (P ˂ 0.05). Digestive enzyme activity (trypsin, amylase and lipase) in all experimental groups was significantly elevated compared with the control (P ˂ 0.05). These results indicated an immunostimulatory and growth-promoting effect and increasing digestive enzyme activity of C. carpio supplemented with an A. graveolens aqueous methanolic extract. Ahmed, B., Alam, T., Varshney, M. & Khan, S.A. (2002). Hepatoprotective activity of two plants belonging to the Apiaceae and the Euphorbiaceae family. Journal of Ethnopharmacology, 79(3): 313–316. Alexander, C.P., Kirubakaran, C.J.W. & Michael, R.D. (2010). Water soluble fraction of Tinospora cordifolia leaves enhanced the non-specific immune mechanisms and disease resistance in Oreochromis mossambicus. Fish & Shellfish Immunology, 29(5): 765–772. Alishahi, M., Ranjbar, M.M., Ghorbanpour, M., Peyghan, R., Mesbah, M. & Razi J.M. (2010). Effects of dietary Aloe vera on some specific and nonspecific immunity in the common carp (Cyprinus carpio). International Journal of Veterinary Research, 4: 189–195. Al-Saraji, A.Y.J. & Nasir, N.A.N. (2013). Effect of different dietary proteins and fats on the digestive enzymes activities in the common carp fingerlings (Cyprinus carpio L.) reared in floating cages. Mesopotamic Journal of Marine Science, 28(2): 121–130. Awad, E.S. (2010). Studies on plant based dietary supplements for control of Aeromonas hydrophila infections in rainbow trout (Oncorhynchus mykiss walbaum). Ph.D. Thesis. Heriot-Watt University, Scotland, UK. Awad, E., Austin, B. & Lyndon, A. (2012). Effect of dietary supplements on digestive enzymes and growth performance of rainbow trout (Oncorhynchus mykiss, Walbaum). Journal of American Science, 8(12): 858–864. Aydemir, T. & Becerik, S. (2011). Phenolic content and antioxidant activity of different extracts from Ocimum basilicum, Apium graveolens and Lepidium sativum seeds. Journal of Food Biochemistry, 35(1): 62–79. Baananou, S., Borgi, W., Mahmoud, A., Boukef, K., Chouchane, N., Aouam, K. & Boughattas, N.A. (2012). Anti-inflammatory and analgesic activities of Tunisian Apium graveolens L. leaves extracts in rats. Journal of Biologically Active Products from Nature, 2(4): 225–231. Bilen, S., Bulut, M. & Bilen, A.M. (2011). Immunostimulant effects of Cotinus coggyria on rainbow trout (Oncorhynchus mykiss). Fish & Shellfish Immunology, 30(2): 451–455. Bilen, S., Ünal, S. & Güvensoy, H. (2016). Effects of oyster mushroom (Pleurotus ostreatus) and nettle (Urtica dioica) methanolic extracts on immune responses and resistance to Aeromonas hydrophila in rainbow trout (Oncorhynchus mykiss). Aquaculture, 454: 90-94. Bilen, S., Yılmaz, S. & Bilen, A.M. (2013). Influence of tetra (Cotinus coggygria) extract against Vibrio anguillarum infection in koi carp, Cyprinus carpio with reference to haematological and immunological changes. 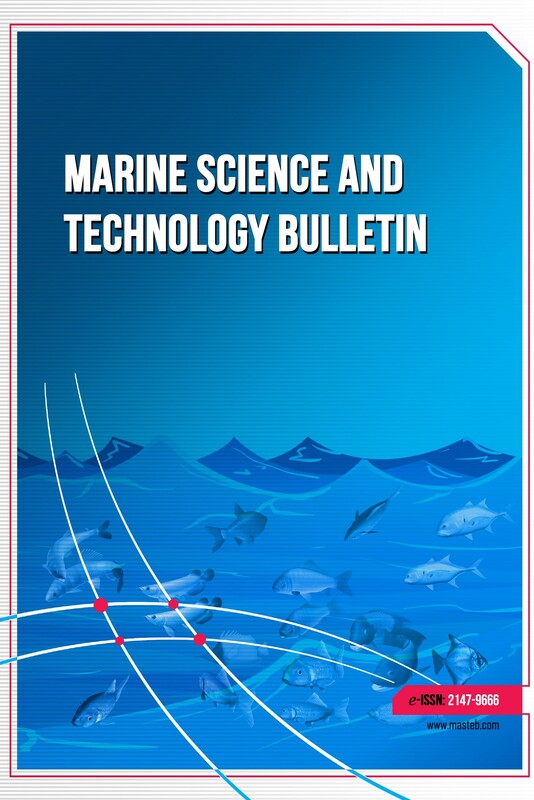 Turkish Journal of Fisheries and Aquatic Sciences, 13(3): 517–522. Blaxhall, P.C. & Daisley, K.W. (1973). Routine haematological methods for use with fish blood. Journal of Fish Biology, 5: 771–781. Bradford, M. (1976). A rapid and sensitive method for the quantification of microgram quantities of protein utilizing the principle of protein dye-binding. Analytical Biochemistry, 72(1-2): 248-254. Cao, J., Chen, J., Wang, J., Wu, X., Li, Y. & Xie, L. (2013). Tissue distributions of fluoride and its toxicity in the gills of a freshwater teleost, Cyprinus carpio. Aquatic Toxicology, 130-131: 68–76. Caruso, G., Denaro, M. G. & Genovese, L. (2009). Digestive enzymes in some Teleost species of interest for Mediterranean aquaculture. The Open Fish Science Journal, 2: 74–86. Choi, S.H., Park, K.H., Yoon, T.J., Kim, J.B., Jang, Y.S. & Choe, C.H. (2008). Dietary Korean mistletoe enhances cellular non-specific immune responses and survival of Japanese eel (Anguilla japonica). Fish & Shellfish Immunology, 24(1): 67–73. Citarasu, T. (2010). Herbal biomedicines: a new opportunity for aquaculture industry. Aquaculture International, 18(3): 403–414. Dalmo, R.A., Ingebrigtsen, K. & Bøgwald, J. (1997). Non-specific defence mechanisms in fish, with particular reference to the reticuloendothelial system (RES). Journal of Fish Diseases, 20(4): 241–273. De Pedro, N., Guijarro, A.I., López-Patiño, M.A., Martínez-Álvarez, R. & Delgado, M.J. (2005). Daily and seasonal variations in haematological and blood biochemical parameters in the tench, Tinca tinca Linnaeus, 1758. Aquaculture Research, 36(12): 1185–1196. Erlanger, B.F., Kokowsky, N. & Cohen, W. (1961). The preparation and properties of two new chromogenic substrates of trypsin. Archives of Biochemistry and Biophysics, 95(2): 271–278. FAO. (2008). Fishery and Aquaculture Statistics. Rome. 57 pp. Farahi, A., Kasiri, M., Sudagar, M., Soleimani, I. M. & Zorriehzahra, S.M.J. (2012). Effect of dietary supplementation of Melissa officinalis and Aloe vera on hematological traits, lipid oxidation of carcass and performance in rainbow trout (Oncorhynchus mykiss). Online Journal of Animal and Feed Research, 2(1): 1–5. Gawlicka, A., Parent, B., Horn, M.H., Ross, N., Opstad, I. & Torrissen, O.J. (2000). Activity of digestive enzymes in yolk-sac larvae of Atlantic halibut (Hippoglossus hippoglossus): indication of readiness for first feeding. Aquaculture, 184(3-4): 303–314. Gisbert, E., Giménez, G., Fernández, I., Kotzamanis, Y. & Estévez, A. (2009). Development of digestive enzymes in common dentex Dentex dentex during early ontogeny. Aquaculture, 287(3-4): 381–387. Govind, P., Madhuri, S. & Mandloi, A.K. (2012). Immunostimulant effect of medicinal plants on fish. International Journals of Research Papers, 3(3): 112–114. Güner, Y., Güleç, F., Ikiz, M. & Kayaci, A. (2014). General view to Turkish carp (C. carpio) production. Türk Bilimsel Derlemeler Dergisi, 7(2): 66–69. Haghighi, M. & Rohani, M.S. (2013). The effects of powdered ginger (Zingiber officinale) on the haematological and immunological parameters of rainbow trout Oncorhynchus mykiss. Journal of Medicinal Plant and Herbal Therapy Research, 1: 8–12. Haghighi, M., Sharif Rohani, M., Samadi, M., Tavoli, M., Eslami, M. & Yusefi, R. (2014). Study of effects Aloe vera extract supplemented feed on hematological and immunological indices of rainbow trout (Oncorhynchus mykiss). International Journal of Advanced Biological and Biomedical Research, 2(6): 2143–2154. Harikrishnan, R., Jin, C.N., Kim, M.C., Kim, J.S., Balasundaram, C. & Heo, M.S. (2010). Effectiveness and immunomodulation of chemotherapeutants against scuticociliate Philasterides dicentrarchi in olive flounder. Experimental Parasitology, 124(3): 306–314. Houston, A.H. (1990). Blood and Circulation. In: Schreck, C.B., Moyle, P.B. (Eds. ), Methods for Fish Biology. American Fisheries Society, USA, pp. 273–334. Johnston Jr, R.B. (1978). Oxygen metabolism and the microbicidal activity of macrophages. Federation Proceedings, 37(13): 2759–2764. Kawai, S. & Ikeda, S. (1973). Studies in digestive enzymes of fishes. III. Development of the digestive enzymes of rainbow trout after hatching and the effect of dietary change on the activities of digestive enzymes in the juvenile stage. Bulletin of the Japanese Society for the Science of Fish, 39(7): 265–270. Krogdahl, Å., Hemre, G.I. & Mommsen, T.P. (2005). Carbohydrates in fish nutrition: digestion and absorption in postlarval stages. Aquaculture Nutrition, 11(2): 103–122. Kumar, I.V., Chelladurai, G., Veni, T., Peeran, S.S.H. & Mohanraj, J. (2014). Medicinal plants as immunostimulants for health management in Indian cat fish. Journal of Coastal Life Medicine, 2(6): 426–430. Lewis, S.M., Bain, B.J. & Bates, I. (2006). Dacie and Lewis Practical Haematology. 10th ed. Philadelphia: Churchill Livingstone Elsevier. 221 pp. Li, P., Jia, J., Zhang, D., Xie, J., Xu, X. & Wei, D. (2014). In vitro and in vivo antioxidant activities of a flavonoid isolated from celery (Apium graveolens L. var. dulce). Food & Function, 5(1): 50–56. Lopez-Lopez, S., Nolasco, H., Villarreal-Colmenares, H. & Civera-Cerecedo, R. (2005). Digestive enzyme response to supplemental ingredients in practical diets for juvenile freshwater crayfish Cherax quadricarinatus. Aquaculture Nutrition, 11(2): 79–85. Magnadóttir, B. (2006). Innate immunity of fish (overview). Fish & Shellfish Immunology, 20(2): 137–151. Mahdavi, M., Hajimoradloo, A. & Ghorbani, R. (2013). Effect of Aloe vera extract on growth parameters of common carp (Cyprinus carpio). World Journal of Medical Sciences, 9(1): 55–60. Melo, J.F.B., Lundstedt, L.M., Moraes, G. & Inoue, L.A.K.A. (2012). Effect of different concentrations of protein on the digestive system of juvenile silver catfish. Arquivo Brasileiro de Medicina Veterinária e Zootecnia, 64(2): 450–457. Modaresi, M., Ghalamkari, G. & Jalalizand, A. (2012). The effect of celery (Apium graveolens) extract on the reproductive hormones in male mice. APCBEE Procedia, 4: 99–104. Moriarty, D.J.W. (1973). The physiology of digestion of blue-green algae in the cichlid fish, Tilapia nilotica. Journal of Zoology, 171(1): 25–39. Mostafa, A.A.Z.M., Ahmad, M.H., Mousallamy, A. & Samir, A. (2009). Effect of using dried Fenugreek seeds as natural feed additives on growth performance, feed utilization, whole-body composition and entropathogenic Aeromonas hydrophila-challenge of monsex Nile tilapia O. niloticus (L) fingerlings. Australian Journal of Basic and Applied Sciences, 3(2): 1234–1245. Nagase, G. (1964). Contribution to the physiology of digestion in Tilapia mossambica Peters: digestive enzymes and the effects of diets on their activity. Journal of Comparative Physiology A: Sensory, Neural, and Behavioural Physiology, 49(3): 270–284. Olvera-Novoa, M.A., Campos, S.G., Sabido, M.G. & Palacios, C.A.M. (1990). The use of alfalfa leaf protein concentrates as a protein source in diets for tilapia (Oreochromis mossambicus). Aquaculture, 90(3-4): 291–302. Pavasovic, A., Anderson, A.J., Mather, P.B. & Richardson, N.A. (2007). Effect of a variety of animal, plant and single cell-based feed ingredients on diet digestibility and digestive enzyme activity in redclaw crayfish, Cherax quadricarinatus (Von Martens 1868). Aquaculture, 272(1-4): 564–572. Rao, Y.V., Das, B.K., Jyotyrmayee, P. & Chakrabarti, R. (2006). Effect of Achyranthes aspera on the immunity and survival of Labeo rohita infected with Aeromonas hydrophila. Fish & Shellfish Immunology, 20(3): 263–273. Rodríguez, A., Esteban, M. & Meseguer, J. (2003). Phagocytosis and peroxidase release by seabream (Sparus aurata L.) leucocytes in response to yeast cells. The Anatomical Record, 272(1): 415–423. Sahoo, P.K., Kumari, J., Mishra, B.K. (2005). Non specific immune responses in juveniles of Indian major carps. Journal of Applied Ichthyology, 21(2): 151–155. ‏Secombes, C.J. (1996). The nonspecific immune system: Cellular defences In: Iwama, G., Nakanish, T. (eds. ), The fish immune system: Organism, pathogens, environment. pp. 63–103. Secombes, C.J. & Fletcher, T.C. (1992). The role of phagocytes in the protective mechanisms of fish. Annual Review of Fish Diseases, 2: 53–71. Seung-Cheol, J.I., Jeong, G., Gwang-Soon, I.M., Lee, S., Yoo, J. & Takii, K. (2007). Dietary medicinal herbs improve growth performance, fatty acid utilization, and stress recovery of Japanese flounder. Fisheries Science, 73(1): 70–76. Shirali, S., Erfani Majd, N., Mesbah, M., Reza Seifi, M. (2012). Histological studies of common carp ovarian development during breeding season in Khouzestan province, Iran. World Journal of Fish and Marine Sciences, 4(2): 159–164. Sivaram, V., Babu, M.M., Immanuel, G., Murugadass, S., Citarasu, T. & Marian, M.P. (2004). Growth and immune response of juvenile greasy groupers (Epinephelus tauvina) fed with herbal antibacterial active principle supplemented diets against Vibrio harveyi infections. Aquaculture, 237(1-4): 9–20. Sowbhagya, H.B. (2014). Chemistry, technology, and nutraceutical functions of celery (Apium graveolens L.): an overview. Critical Reviews in Food Science and Nutrition, 54(3): 389–398. Sunde, J., Taranger, G.L. & Rungruangsak-Torrissen, K. (2001). Digestive protease activities and free amino acids in white muscle as indicators for feed conversion efficiency and growth rate in Atlantic salmon (Salmo salar L.). Fish Physiology and Biochemistry, 25(4): 335–345. Tang, J., Cai, J., Liu, R., Wang, J., Lu, Y., Wu, Z. & Jian, J. (2014). Immunostimulatory effects of artificial feed supplemented with a Chinese herbal mixture on Oreochromis niloticus against Aeromonas hydrophila. Fish & Shellfish Immunology, 39(2): 401–406. Tekinay, A.A. & Davies, S.J. (2001). Dietary carbohydrate level influencing feed intake, nutrient utilisation and plasma glucose concentration in the rainbow trout, Oncorhynchus mykiss. Turkish Journal of Veterinary and Animal Sciences, 25: 657–666. Tokur, B., Ozkütük, S., Atici, E., Ozyurt, G. & Ozyurt, C.E. (2006). Chemical and sensory quality changes of fish fingers, made from mirror carp (Cyprinus carpio L., 1758), during frozen storage (− 18 C). Food Chemistry, 99(2): 335–341. Worthington, C. (1991). Worthington enzyme manual related Biochemical. Freehold, New Jersey, USA. Xie, J., Liu, B., Zhou, Q., Su, Y., He, Y., Pan, L. Ge, X., Xu, P., 2008. Effects of anthraquinone extract from rhubarb Rheum officinale Bail on the crowding stress response and growth of common carp Cyprinus carpio var. Jian. Aquaculture, 281(1-4): 5–11. Xiong, D. M., Xie, C.X., Zhang, H.J. & Liu, H.P. (2011). Digestive enzymes along digestive tract of a carnivorous fish Glyptosternum maculatum (Sisoridae, Siluriformes). Journal of Animal Physiology and Animal Nutrition, 95(1): 56–64. Yaghoubi, M., Mozanzadeh, M. T., Marammazi, J. G., Safari, O. & Gisbert, E. (2016). Dietary replacement of fish meal by soy products (soybean meal and isolated soy protein) in silvery-black porgy juveniles (Sparidentex hasta). Aquaculture, 464: 50–59. Yılmaz, S., Ergün, S. & Çelik, E.S. (2012). Effects of herbal supplements on growth performance of sea bass (Dicentrarchus labrax): Change in body composition and some blood parameters. Journal of Bioscience and Biotechnology, 1(3): 217–222. Yin, G., Ardó, L.Á.S.Z.L.Ó., Thompson, K.D., Adams, A., Jeney, Z. & Jeney, G. (2009). Chinese herbs (Astragalus radix and Ganoderma lucidum) enhance immune response of carp, Cyprinus carpio, and protection against Aeromonas hydrophila. Fish & Shellfish Immunology, 26(1): 140–145.